Recently we were on a Scenic Byway adventure in Pennsylvania, driving east on historic Route 30 from the Pittsburgh area to my home town of Chambersburg. There are faster routes, but if you have the time, driving Route 30 is so much more interesting. Look for a separate blog entry just about Route 30 coming soon. However, this one here is about something we saw on that drive. 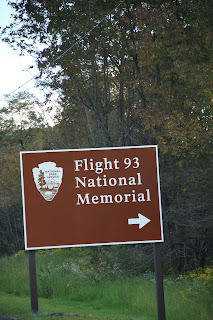 Driving near Shanksville we spotted a sign for the Flight 93 Memorial. We knew that it was somewhere out in central PA, but did not know it was just off of Route 30. We had to stop and see it. The memorial was built at the crash site of United Airlines Flight 93 that was hijacked on September 11, 2001 to honor the victims of that crash. The passengers and crew attacked the hijackers and crashed the plane at 10:03 am in this remote area to prevent the plane from crashing into its target, the Capitol building in Washington, DC. The memorial was dedicated and opened on September 10th, 2011, for the 10th anniversary of the September 11th tragedy. You may have seen coverage from the dedication ceremony on television. What is there now is only the first phase of the full memorial plans. More construction is planned for the coming years. You drive far off the main road to reach this site - through beautiful rolling grassy hills. I thought this was unused farm land, and some of it probably was, but the park ranger on site told us that the crash area had been an area of hills that had once been mined, which is why it was empty unused land. Whatever it was it is a beautiful, natural, peaceful place. I hope they minimize the development there to maintain that peace and beauty. It is intense. Somber. 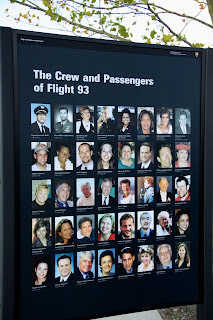 To be standing there at this place where these people had the guts and the togetherness to take that plane down. This is the part of the 9/11 tragedy that has always haunted and intrigued me the most. I just can't imagine what went down on that plane. They had 20 minutes before the plane would reach DC. The ranger told me the passengers intentionally wanted to take the plane down in an area that would harm the least amount of people on the ground, meaning they realized they couldn't wait because as the plane traveled further eastward, it would get more and more populated. Is that true? I had never heard that before - that they had the wherewith all to consider that? Heck a few more minutes and that plane might have gone down near my hometown further east. 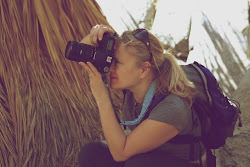 It is intense to look at the photographs of these people and to think about what happened on that plane. And to realize that this is their cemetery - their final place of rest. The monument is very simple. It reminds me of the Vietnam war memorial. There was a competition for the memorial design and what you see now is apparently a modified version of the Crescent of Embrace entry by Paul and Milena Murdoch. You can read more about the background here. There is currently no information up to explain this monument design and what the designers intended it to signify. Its a confusing structure until someone explains to you the vision behind its design. Fortunately we asked the park ranger and he gave us a really great overview that helped us understand the vision of the monument design. They need to put that information up there, otherwise I think people will be confused and not appreciate what is there. I believe that as the memorial is finalized, this information will be there. It was interesting to visit a memorial that is so new and not yet complete. There is a temporary visitors structure. There are young trees standing by to be planted. You walk along a wall and to the left of that wall is all open grassy area. That is the entire crash site area to the left of that wall. The wall almost mirrors where the area was taped off during the crash site investigation. Off in the middle you can see a little area with flowers and things. That is the exact impact site of the crash. No one is allowed back there except family members. 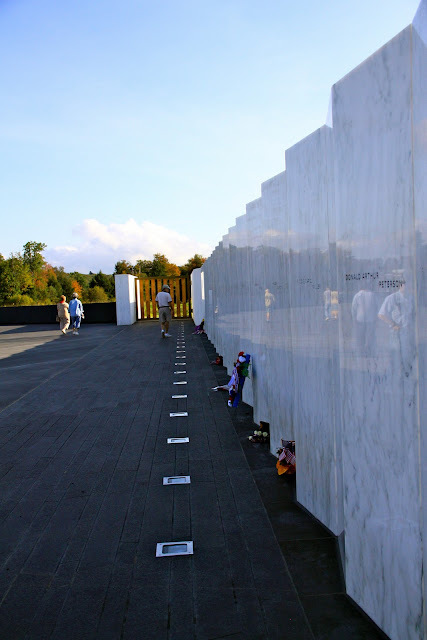 You walk further along the wall and it turns to the right and then the names of the passengers and crew are etched into marble. 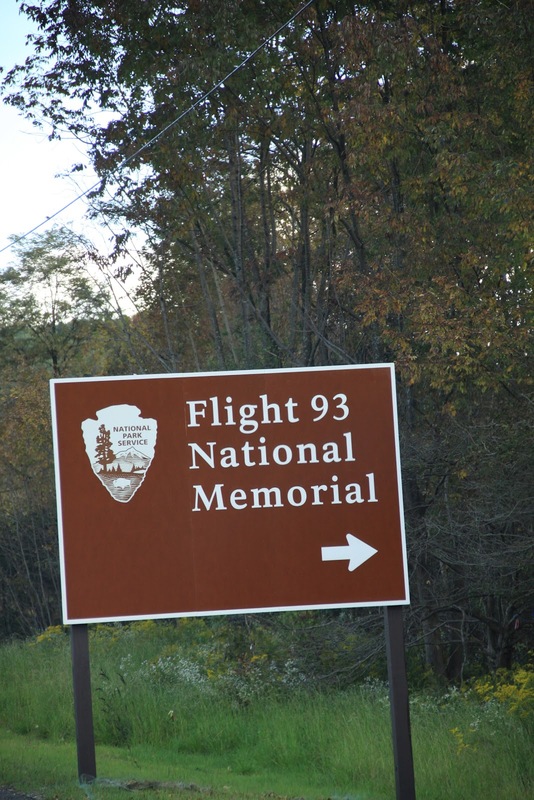 There is an entry way to a path that winds back to the crash site, open for family members to go and visit the impact site. I've read that there was a lot of criticism over the design of the memorial. I say get over it, it isn't your memorial to criticize and just appreciate it for what it is - a site to remember a group of people who did a very brave and heroic thing. It belongs to the families of those people who died there and they were very involved in the development of this memorial, so just respect them and the loved ones they lost. 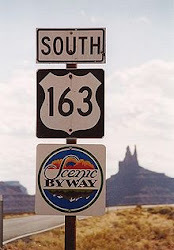 If you are in the area, you shouldn't pass the opportunity to visit.